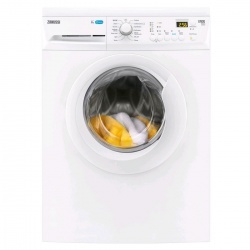 This washing machine's Daily Quick programme can wash a full 8kg load in just 28 minutes, speeding up your everyday wash. A large LCD time display shows you exactly how long each cycle has left, and the energy efficient motor provides a quieter wash. 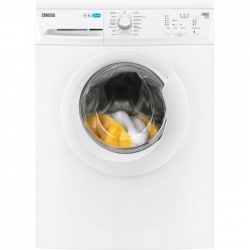 This excellent PerfectCare 600 washing machine with SensiCare System adjusts the length of the programme to the size of the load, using less energy and water and preventing any item from being washed for too long. Enabling the most economical cycles for even your smallest loads. The SoftPlus Option pre-soaks and distributes clothing evenly. Ensuring every fibre is reached and that every item in the load feels soft and smells fresh for longer. The Anti-Allergy Vapour combines water vapour with a high-performance wash programme to remove bacteria from garments. 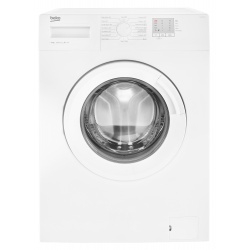 Our Eco TimeManager let you adjust the length of the wash cycle to the time you have available. Saving you both time and energy with absolutely no compromise on the thorough wash your clothes receive. Adjust the start of the cycle to suit your schedule with the delay start function. The laundry will be ready to unload when you are ready to unload it, keeping it as fresh and as fragrant as possible. It's the most convenient way to clean. 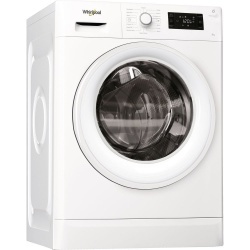 This Whirlpool freestanding front loading Washing Machine features: a spacious 8kg capacity. White color. Exclusive 6th SENSE technology, that dynamically adapts settings to each specific load, ensuring ideal care for all your fabrics. 30 minute quick wash. A fast, resource-efficient 1400 revolutions per minute spin speed. The smart water management system: waterPerfect. 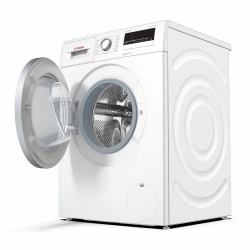 The clever 3-D sensor system ensures that the drum always contains the optimum amount of water, depending on the load size and type of fabric – for example, cotton or synthetics. Guaranteed long service life: iQdrive, the 10-year warranty. Over time, conventional motors become worn from the mechanical friction of the carbon brushes; the brushless iQdrive motor is virtually free from wear. Siemens vouches for the durable quality of the motor in all iQ 800 and iQ 890 washing machines with a 10‑year warranty.